In this week's edition of MCN, editor Marc Potter tells his behind the scenes story of riding with MotoGP champion Valentino Rossi at the TT. Potter was given exclusive access to join racing legends Rossi and Giacomo Agostini on a parade lap in front of 40,000 people. 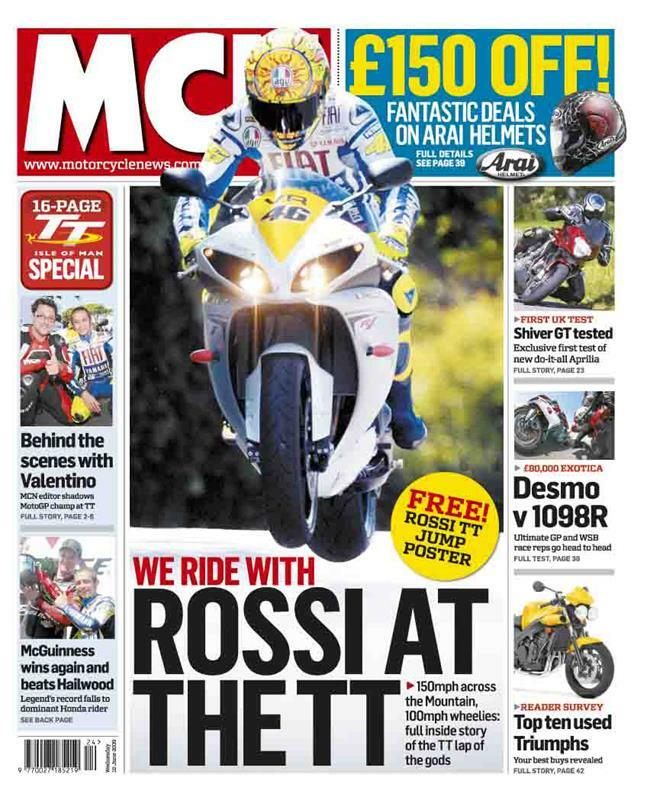 Find out what Rossi thought of the Mountain course in this week's MCN. Also in this edition of MCN, we pitch the Ducati 1098R and Desmosedici RR against each other on track to see which is the ultimate race replica.